I have to say from the start that I don’t like the word “work” if you used in as a way to define your profession. Work = play seems more appropriate but even if you are playing you need to be with the mind where you are actually playing. Most of failures when we are talking about what we are doing professionally comes from the fact that we are physically in a certain place, our mind is elsewhere and the action is in a totally different place. No matter if our intentions are to be 100% focused on doing something there are tons of distractions around which make us to start something, not finish, start something else, forget about it and our life becomes a mess slowly but surely. Another wrong approach is to count the hours in a day and to be like in a competition with the passing of time. You may win over a short period but over time you will not win, I can guarantee for that. 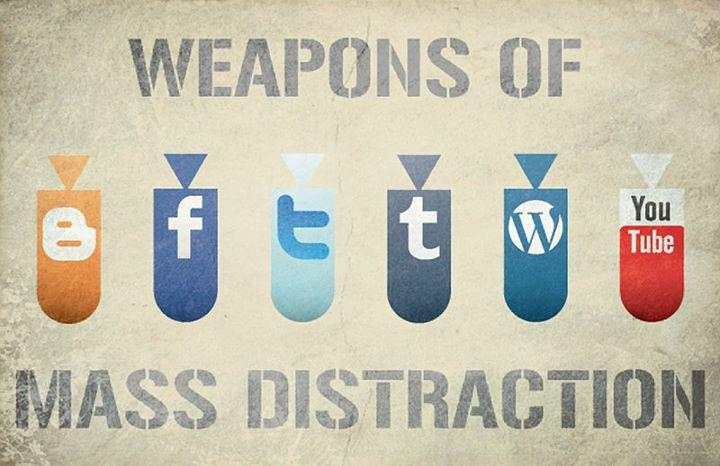 So when we are doing something related to our profession – how to deal with distractions? I would say … one bit at a time as this is a learned skill. There are so many systems to manage this and I would say that most of them don’t actually work. What works is a change in the internal game where to communicate with ourselves that it is much more important to get the job done and give 110% in the completion process than pay attention to the distractions around. Most of the distrations will be there when you finish but they will not be life changers as it can be a job well done. With every well done job or act you grow a snowball and will do things better and better. Social media I have to say is by far one of the biggest distractions for many people and the reality is that many times at the end of the day what you count are not the finished tasks but the amount of time spent online without a real purpose. My wish is that this article to make you think about your own distractions and learn how to turn them off from your attention.